“You’re not from around Here are Ya?” – Walk the Talk Y’all! So my thought for the day is that each day we are being watched by such a cloud of witnesses and the only thing that should concern us as Christians is for instance, if you were put in a large group of people in a crowd, would it be obvious to the locals that “you just ain’t from around here”? I remember when I crossed over to the U.S. a few years ago to go to the amusement park with some family and friends to Six Flags (now known as Darien Lake), and people from the New Yorkan side could tell immediately that “I ain’t from around here”. I hadn’t even spoken to anybody at that point and yet the way I appeared to some of the people there was so distinct that they could tell I’m “Canadian” and not American on the get go. Now think about it, what makes me look Canadian as oppose to fittin’ in the crowd and pass off as an American? First off, I am Canadian by citizenship but I’m African by birth and heritage period so race doesn’t seem to be the issue here at all. It seems that it was the way I appeared to them. I wasn’t wearing an obvious red maple leaf shirt plastered with a “I’M CANADIAN AY!’ on it or anything because I wore typical gear such as jeans and a black top and yet I didn’t “fit in” this crowd of people. People kept saying “Your from Canada ain’tcha?”… Mind you, I haven’t even spoken a word to anybody yet and still they could tell that I wasn’t from this area. This tells me that to some degree, the way we carry ourselves as people must make such a distinction that even locals can discern easily that you aren’t from their particular city. When I speak they can tell immediately I’m from Canada based on the language and accent, but even when I do put on an American accent (which I can do by the way), they can still tell that I’m not American. No matter what I did to blend in with the crowd, there was still something about me that made me distinguishable amongst the crowd. hold on and let me finish people! lol. You’ve gotta start asking yourselves that as Christians, how do we appear to look like in the secular World? 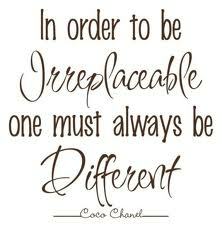 Do we appear different from the crowd or are we soo easily blended in? What does it mean to stand out? What does it mean to be a “peculiar people”? If New Yorkan Locals can identify that I’m not a local from their city based on appearance and language alone, then it tells me that as Christians, we can be identified by our appearance and language alone to the secular world. So now we have to ask ourselves…are we VISIBLE enough that we can be identified as a Christian without the bumper sticker or not? If we are to be a PECULIAR PEOPLE, there is something about us that must stand out in our appearance, conduct and speech. Like I said in a previous post, WE ARE KNOWN TO BE CHRISTIANS BY OUR LOVE IN ACTION. Like youth that have a social culture that is distinguishable among them and business people have a business culture that they can be identified with…we Christians must have a Christian culture that is distinguishable and recognizable to the masses. So today I challenge you to search deep within yourselves and consider that being Christian should be OBVIOUS. It shouldn’t be something that we need a flash light for to find you among the crowd because we are supposed to shine as beacons amongst the crowd. Being peculiar doesn’t mean being weird, it means being different, set-apart, distinguished, recognizable, easily identifiable, and standing out even in a crowd. To God we are a Holy Nation so clearly we must reflect the image of our Heavenly city, don’t you agree? The only way to satisfy this Character and image trait is by walking what we talk more than talking the walk. Some people are all talk and no action…but being effective and being peculiar is putting that talk into action. Comprende?! 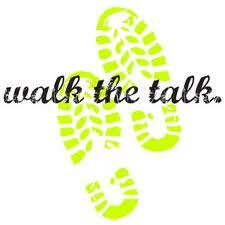 It’s one thing to “Talk the Walk” (because anybody can do that) but ultimately we have to learn to “Walk the TALK”. 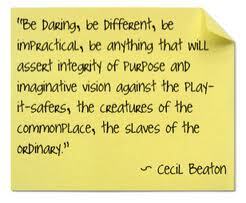 It’s ok to be ordinarily extra-ordinary, Just Sayin’! Stay blessed everybody! Love y’all who are from around here *hint* *hint* :). I have two awesome songs to kick start your day from 21:03. The First ones called Total Attention and the other one is called Holding onto You. Couldn’t decide which one I wanted to post so I decided have the best of both words and double the blessing today! May these songs bless you today Everybody! [ The Just Live by Faith ] For I am not ashamed of the gospel of Christ, for it is the power of God to salvation for everyone who believes, for the Jew first and also for the Greek. “Behold the proud, His soul is not upright in him; But the just shall live by his faith. For you are a holy people [set apart] to the Lord your God; and the Lord has chosen you to be a peculiar people to Himself, above all the nations on the earth. For the Lord has chosen [the descendants of] Jacob for Himself, Israel for His peculiar possession and treasure. ← What do you want to teach a Child? Love this topic today!! We do need to walk the walk and our lives should scream Jesus whether we open our mouths or not. My husband is a minister and many strangers have walked up to him and asked Him if he was a pastor. Sometime I can just spot another Christian. We should be salty….we should be a light…our lives should reflect Christ. You are so on target! That is so Awesome Tanya. You see this is what I’m talking about. We ought to have that essence that makes us easy to spot in a crowd. what if someone needed prayer and their walking down a busy city street but can’t tell who’s a Christian in this crowd that they can call out and pray in agreement? I know this is just a hypothetical example…but we have to stand out that much is what i’m saying. Your husband is a clear testament that it’s true. He’s easy to spot and I’m pretty sure you’re easy to spot, but that’s because your walk what you believe rather than just talk about it. 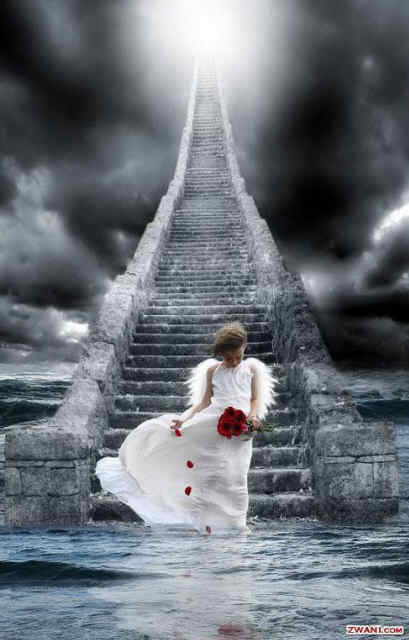 God Bless you today Tanya. I say we need to be “light walkers with a flavour of salt”. Sherline, this is a great challenge! Let me make it personal… I pray that I will be among the first to partake of this simple truth you wrote about today. Walk in the spirit and you will not fulfill the lust of the flesh. It really does begin with allowing God to fill us with His love. Then we can make the right choices and be willing to stand up, stand alone or stand out…because of the boldness that the Holy Spirit gives. Really good post. Amen Liz. This is what it means to be in submission to the Holy Spirit and follow it’s leading. May we all learn to be bold and stand against the grain in this dim like world. Thanks for your thoughtful comments. God bless you Liz! Love this idea as the illustration of the Christian life. We had the same dis ussion about people knowing my husband was a minister before he said so. We moved to Louisiana eight years ago. Still I’ll be doing something in public and some one will turn and say “You’re not from around here are you?” Good illustration! Thanks for using it to heighten my spiritual awareness. Blessings …. Sherline, this is an amazing post for me to read today, for just yesterday a cargo train stopped dead on the tracks just short of the railroad crossing I was approaching on my exercise route and asked for assistance with finding a store for juice, which he needed for his hypoglycemia. I gave him proper directions (a convenience store was withing sight) and then he said, “I’ll bet you go that church we see over there from here.” I had not said any “Go with Gods” or “Bless yous” just yet (which we Southerners do almost without thinking by culture!). Strangers do know us “by our love”. Later, I realized that I carried myself in such a way that my confidence in God’s guidance and protection left me at ease in assisting this stranger on a railroad crossing! Praise Be to God! Years of spiritual seeking and growth do pay off! Awwwww that is so awesome! See that’s what I’m talking about!It should be as obvious as that. Love being demonstrated through action. Actions speak louder than words sometimes. Thanks for sharing that here with us.